Fatgirl Hedonist: Cuban Guys Giftcard Giveaway! I wrote about Cuban Guys restaurant many moons ago when I was a fledgling, blogging noob back in early 2012. You can read that post here. Since that post the restaurant has grown significantly and now has 3 different locations throughout South Florida. 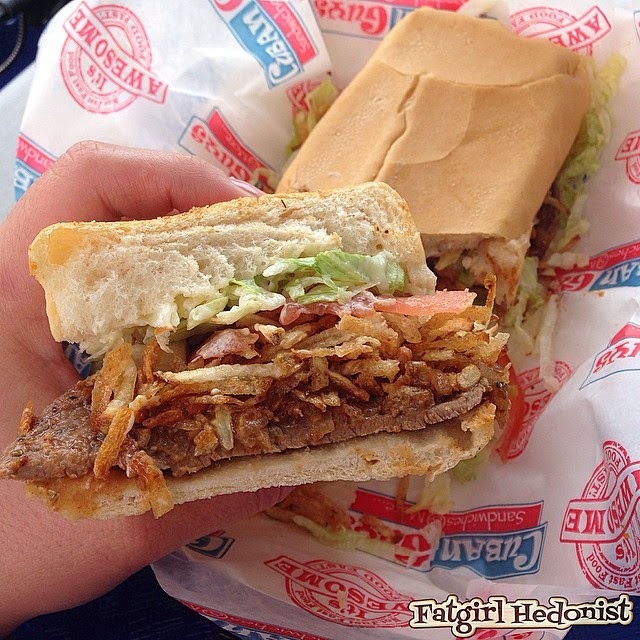 Their pan con bistec continues to be one of the best I've had and their flans is a popular hit in Miami. 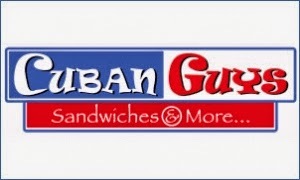 I've teamed up with the good folks over at Cuban Guys to hook up some of my readers? Why? Because you guys are awesome (DUH!) and who doesn't love free cuban food?! This giveaway will work much like my previous giveaways, by entering in the widget below. There are 3 giftcards in total up for grabs, a $100, $50 and a $25 gift card that can be used at any of Cuban Guys' 3 locations. Winners will be announced Monday, October 13, 2014. My favorite Cuban sandwich is the medianoche.